Description: The book has a traditional screw-post album cover binding. 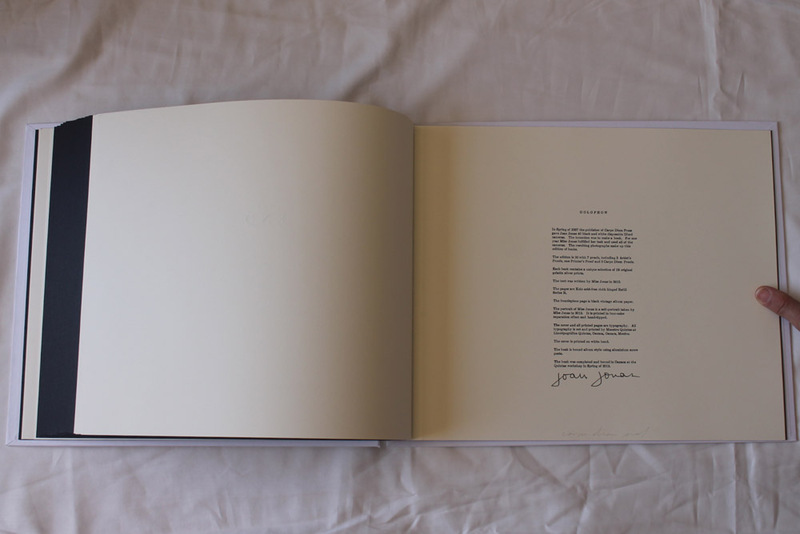 The cover boards are bound with white bond paper on which is printed in black ink the name of the artist on both the front and the back. The frontispiece is a self-portrait by the artist. It is printed in four-color offset by Unicorno, Merida, Mexico. It is adhered by transparent photo corners on a black vintage album page. The title page, text and colophon are printed with hand-set typography in black ink. 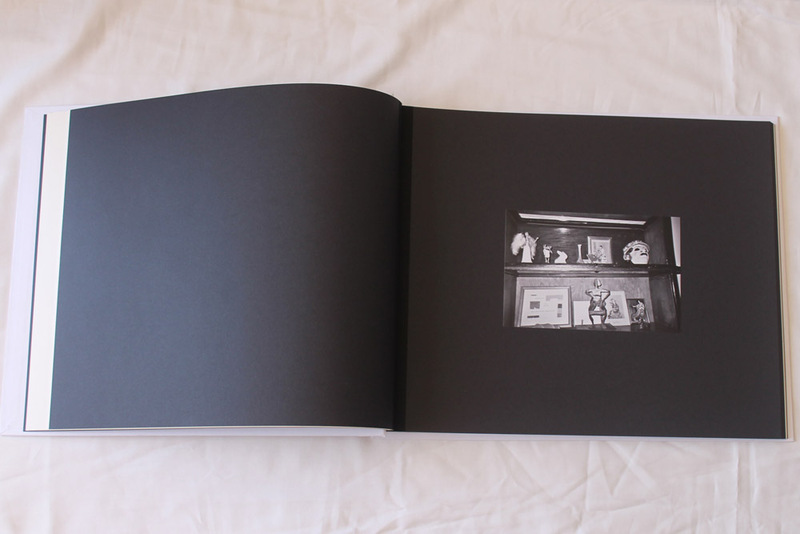 The book contains 19 silver gelatin photographs, each measuring 4 x 6 inches, taken by the artist in 2008-9, with Ilford black and white disposable cameras. Of all the photos taken, 76 were chosen and 8 prints were made of each photograph. 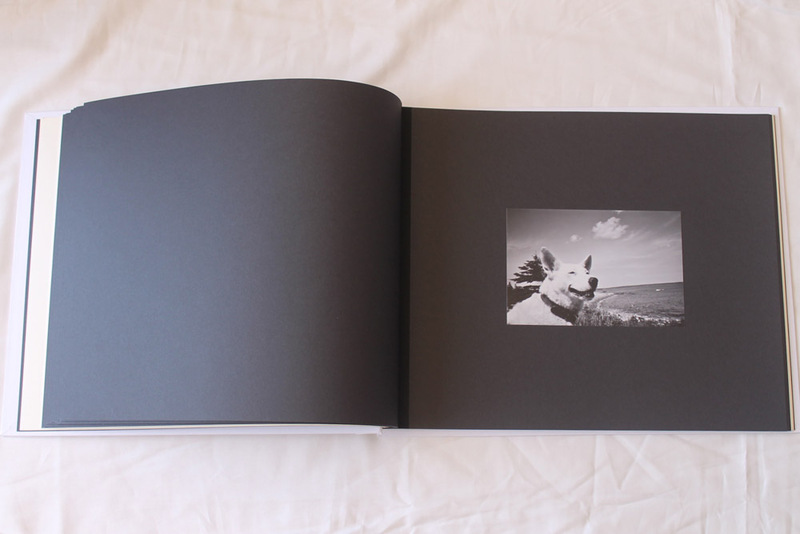 Each book contains a selection of 19 photographs, no two books are the same. Paper: Kolo acid-free cloth-hinged Refill Series B. One black vintage album page for the frontispiece photograph. 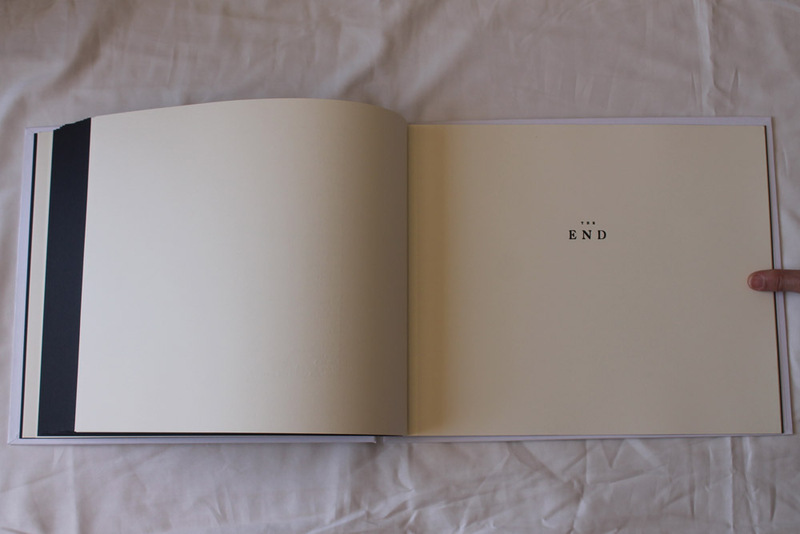 The cover is bound in white bond paper. Notes: All signed by the artist.